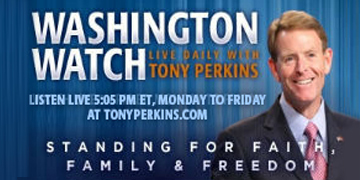 On Thursday's edition of "Washington Watch with Tony Perkins" Former Congresswoman Michele Bachmann joins Tony with her thoughts on what the switch in control of the House of Representatives will mean for President Trump’s agenda. Rep. Kevin McCarthy (R-Calif.) announced his bid for House Minority Leader and is here to share why he’s put his name in the hat. Rep. Scott Perry (R-Pa.) also joins the show to discuss the race for minority leader. He’ll be here on behalf of Rep. Jim Jordan to highlight why he thinks Rep. Jordan would be make a great House Minority Leader. Also, Director of FRC Action Brent Keilen joins Tony to look over FRC Action’s election results and the efforts they put in leading up to election day.